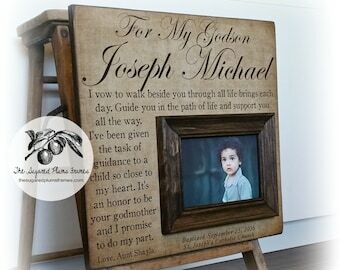 Your gift for your child’s godparents will be something they cherish for years. 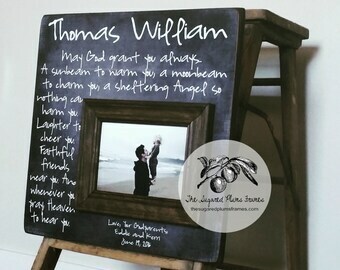 Picture Frames from Sugared Plums Frames speak from the heart and show godmothers and godfathers just how much you and your child appreciate them. This is the second one I have gotten. 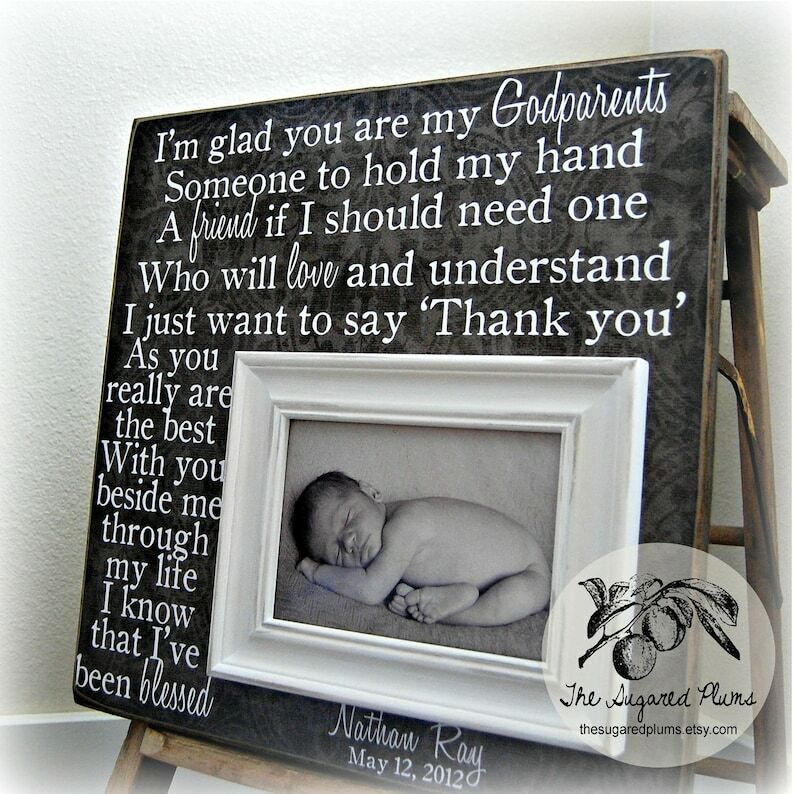 Both my children’s god parents have one now. Love their work and attention to detail. Exactly customized as I requested. Shipped fast.